We have no government but it is negotiating Brexit, starting today. Madness. Cartoonist Martin Shovel clarifies the British position on Brexit. The United Kingdom does not have an elected government at this time; we have a caretaker administration that will seek Parliament’s consent to run the country in a vote after the Queen’s Speech on Wednesday. Theresa May does not have the authority to send David Davis to negotiate the UK’s departure from the European Union with Michel Barnier today. But that is what she has done. Mr Davies has no mandate to speak on behalf of the UK. It is not known whether Parliament agrees with the position he will put forward. We are impatiently waiting for the negotiating position of the UK gov. The current uncertainty cannot continue. If you're dreading work tomorrow, bear in mind David Davis will be spending the morning being told to piss off in six different languages. Polls have shown that public opinion is swinging away from support for Brexit. Is there a way out? Why don’t we just say we were having laugh about leaving EU, watch our £ go back up, reverse disastrous 96% drop in EU nurses coming to NHS? So – thanks to the Conservative Party’s selfish EU referendum (called to placate Tory backbenchers, and nothing to do with the good of the UK as a whole) – we are unsafe whatever we do. 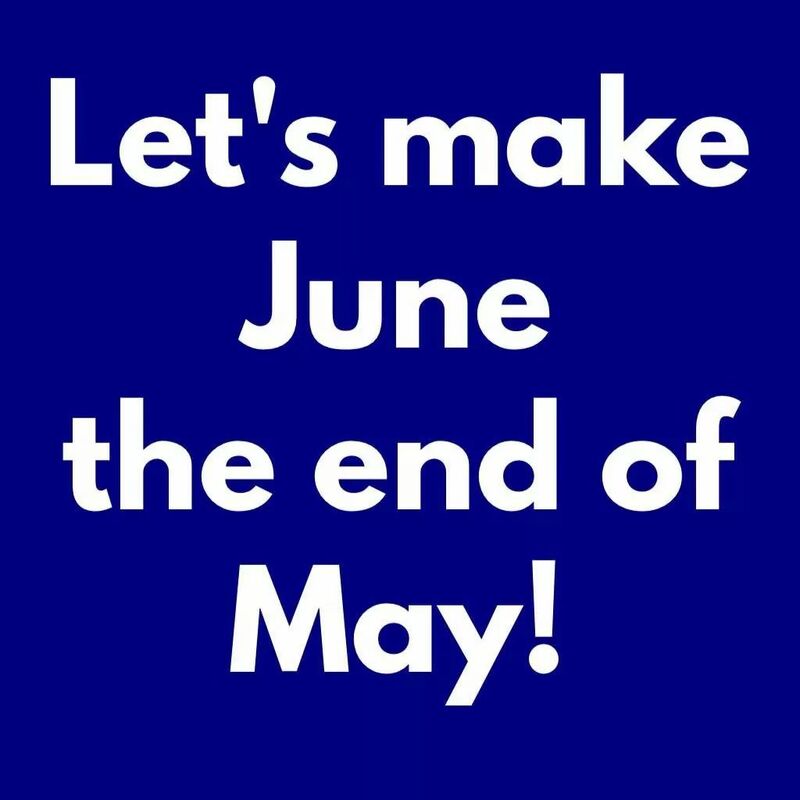 We should all remember that, not only as reports of these talks progress, but also when Theresa May tries to put her hopelessly sparse two-year programme of government before Parliament on Wednesday and asks for permission to form a government. These nasty Tories are a nasty bunch of thoroughly dishonest, corrupt fraudsters. They really must be got rid of ASAP. JC4PM. Here we are, negotiating Brexit with no plan no government and a washed up Prime Minister. You couldn’t make it up. 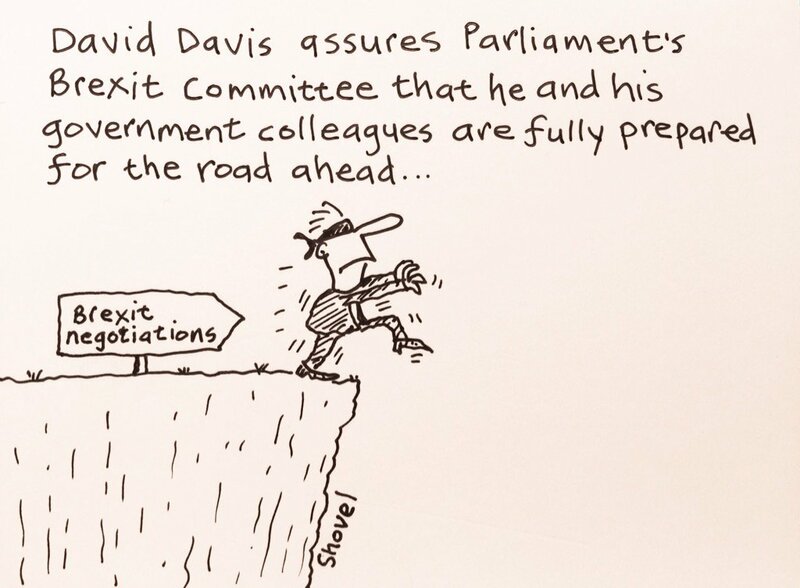 May does have the authority to send Davis to negotiate Brexit, it was handed to her by the majority who voted to leave. So thanks to the referendum which was voted for by a rainbow of parties and a rainbow of parties supporters voted for we can finally extricate ourselves out of the mess based in brussels. The whole idea of it being far anything that voted is just mass media nonsense. No, she doesn’t – it was removed from her by the majority who voted against her party at the general election. There appears to be no-one able to stop Theresa May riding roughshod over the proper procedures for running a Govt. She is completely out of control. Lying her way through each crisis which pops up. Two fingers up to all of us, including the Queen, still believing she is the chosen one able to lead us out of the mess she has created.